#80. 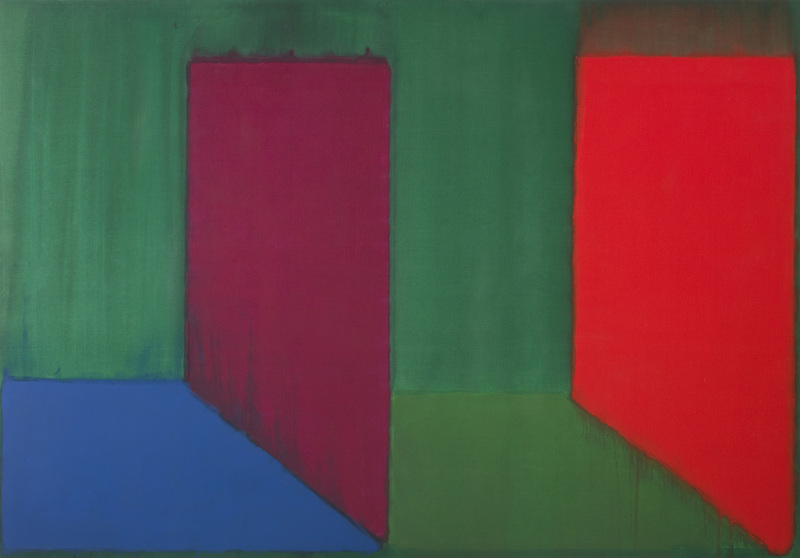 Paul Behnke writes on John Hoyland at Pace, N.Y. 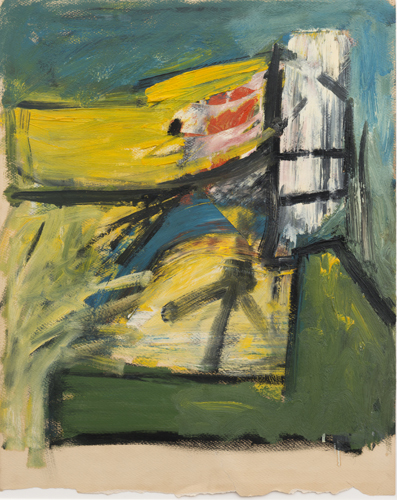 In 1964, at the age of thirty, John Hoyland (1934-2011) was awarded a traveling fellowship by the Peter Stuyvesant Foundation and with it traveled to New York for the first time. There he either met or renewed acquaintances with prominent members of the New York School including Barnett Newman and Helen Frankenthaler as well as the formidable critic Clement Greenberg, and several of the painters he championed as post painterly abstractionists – Kenneth Noland, Paul Feeley and Jules Olitski. These latter three artists had a considerable affect on the works on view here.